Click Add New link on the left side menu or from the all events page. 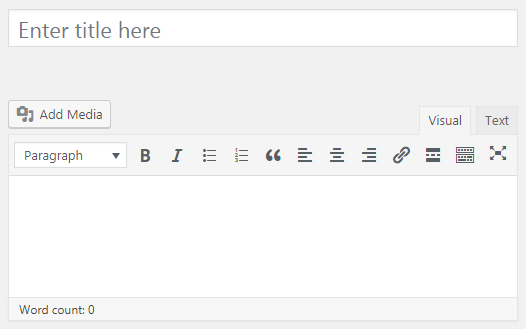 Write the event title and description about the event in the WYSIWYG editor. You can also add additional images inside the WYSIWYG editor which will show up under event details section on eventON calendar. The WYSIWYG editor can also be used to post links to PDF files and downloadble files for events. 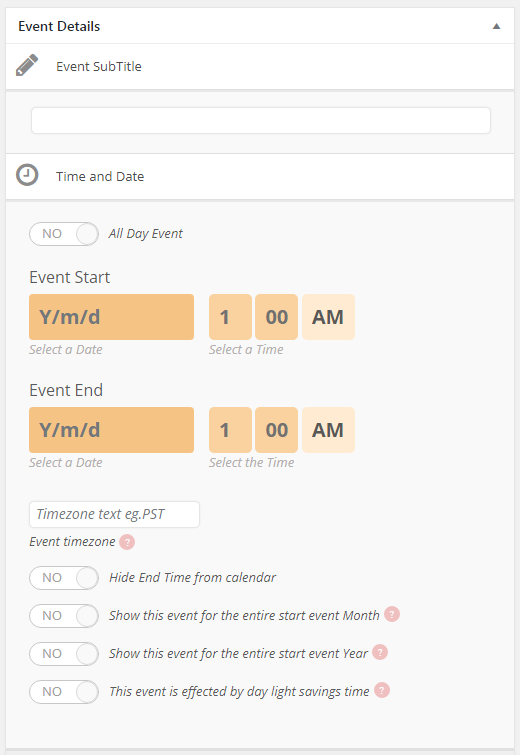 Fill in the most important event date and time information and other information about the event under Event Details section. NOTE: When you are selecting the date make sure you also set an end date for the event. If you don’t select an end date, system will automatically use the start date as the end date of the event. Select an event color. If this is your first event you will not see a selection of colors to choose from. 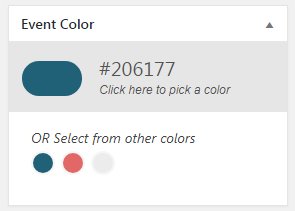 You will have to click on the top section of this box and then select a color from the color picker. NOTE: Once you have saved colors for events they will show up under color selection for new events in the future. 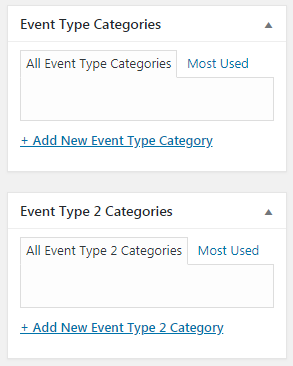 Event type tags can be used to filter event on the eventON calendar. Learn more about how to do more with event_type. Set a Featured Image for the event. (Not required) Adding a featured image to an event will display this image across eventCard on the eventON calendar above Event Details section (once the eventCard is slide down). 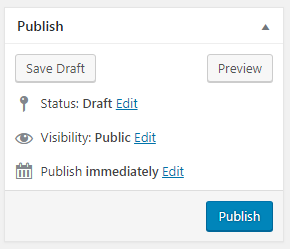 Last but not least Publish the event by clicking on the publish button in Publish panel box.